It’s simple to really up your eco game when it comes to skincare. 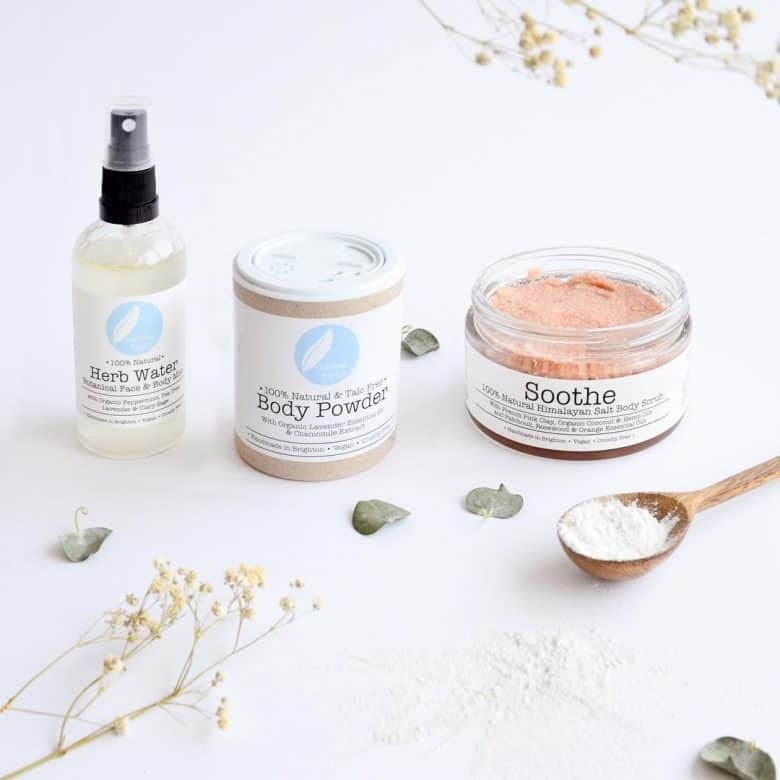 Because there are wonderful products to choose from made by ethical producers who care about the welfare of your skin as well as our environment. 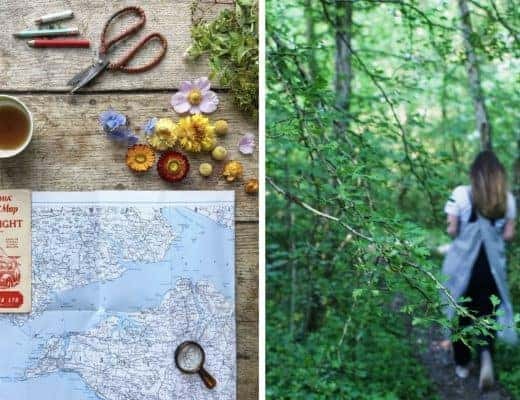 Find a growing number of hand-picked makers producing ethical beauty products made in Britain with care in the Ethical Beauty category of our Directory. Here’s a selection of my current favourites to help care for your skin without causing harm to the planet. A qualified aromatherapist, Corinne’s products are 100% natural, organic, vegan and cruelty free. 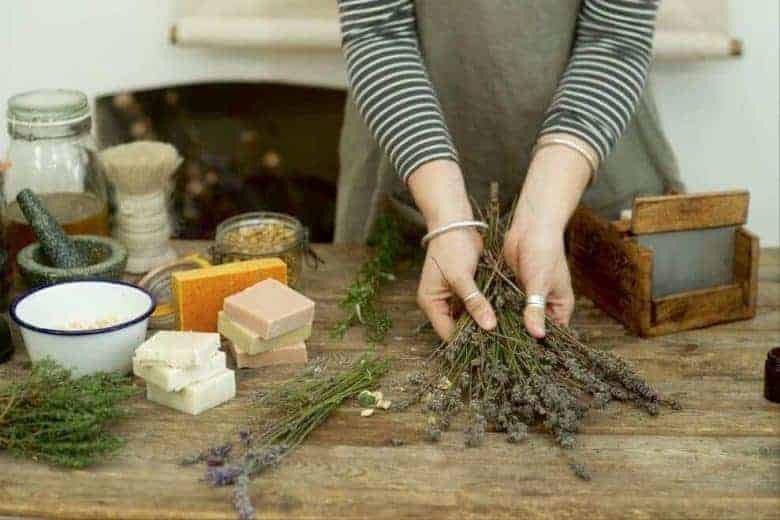 Find beautifully packaged bath and body, skincare and home fragrance all hand made in Brighton and smelling naturally divine. And free from palm oil, sls, parabens, mineral oil, synthetic fragrance & colour. 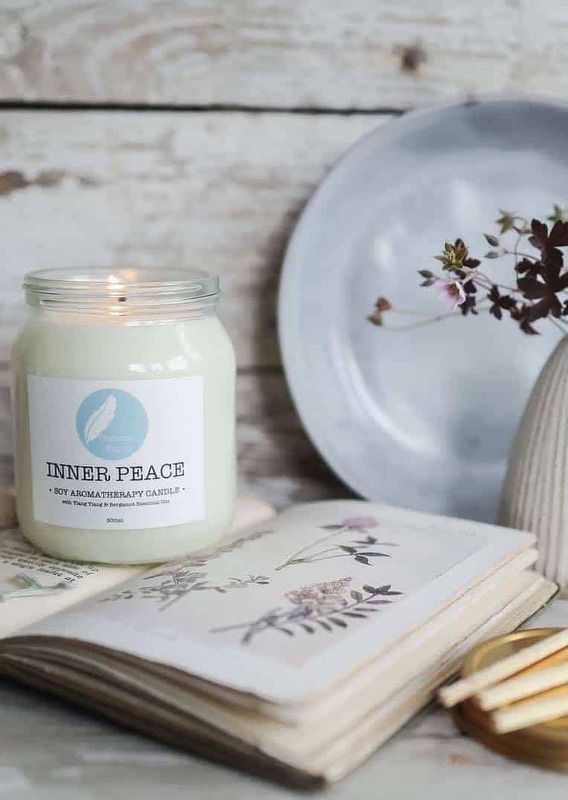 Inner Peace soy aromatherapy candle contains ylang ylang and bergamot essential oils to soothe and uplift. Just the most wonderfully natural and fragrant way to unwind. 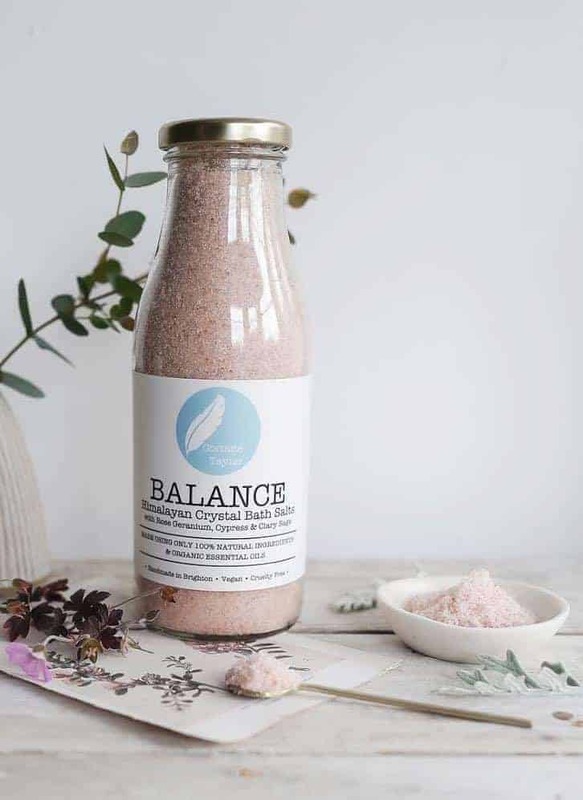 For a soothing, balancing bath, these Balance Himalayan crystal bath salts combine rose geranium, cypress and clary sage with the mineral benefits of the salts themselves. Bliss. Is there anything nicer than a spritz of fragrant flower water when you’re feeling in need a boost? 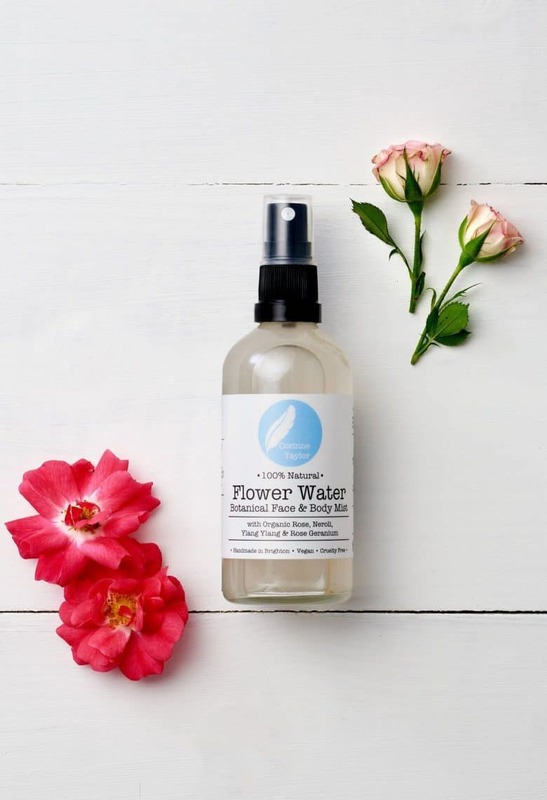 This Flower Water Face & Body Mist is absolutely heavenly, combining antioxidant rich organic rose and neroli waters with skin soothing aloe vera and balancing essential oils rose geranium and ylang ylang. Witch hazel adds natural astringency to tighten skin and reduce inflammation. The perfect choice to cool, soothe and calm tired, dull skin. 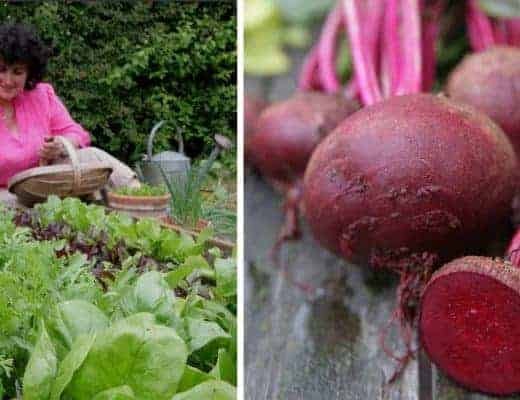 Corinne is listed in our Directory here >>. Get all the info you need treat yourself. 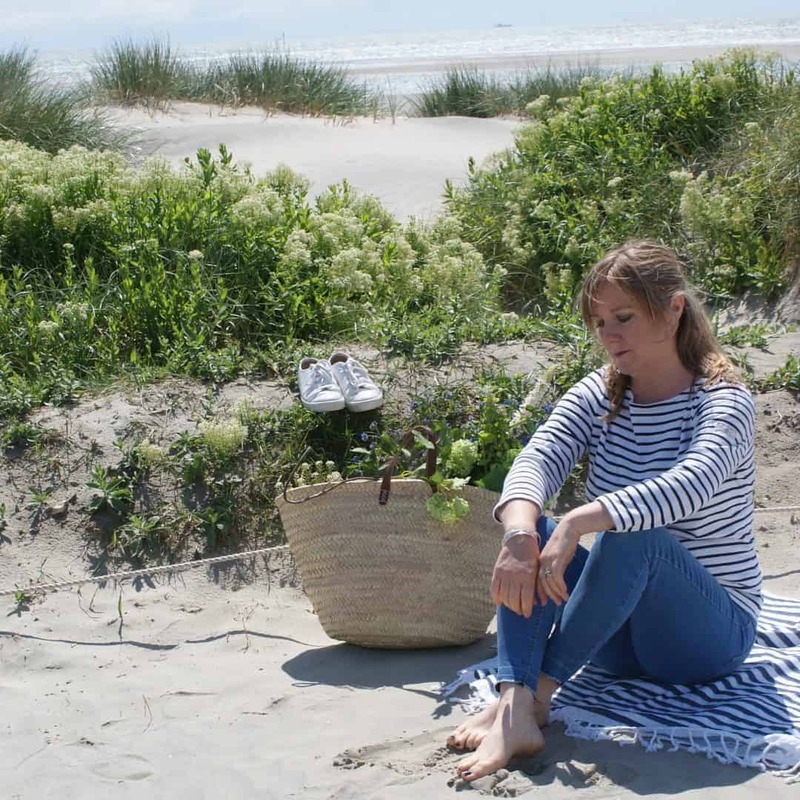 I love this wonderful range of handmade organic and natural skincare and haircare. 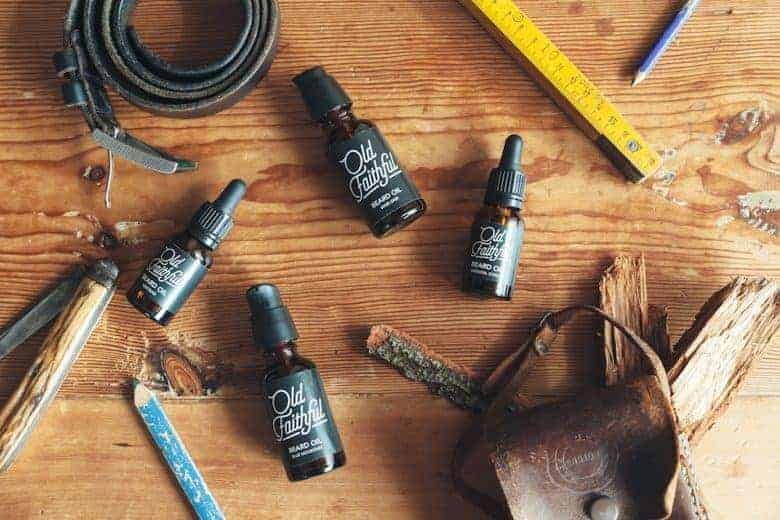 Formulated with cold pressed oils, high quality essential oils and made in small batches without the addition of chemicals, the Old Faithful range includes beard oil (below) and shaving products as well as unisex skin and hair care. I love the eco credentials of sharing one moisturiser rather than having to have ‘his’ and ‘hers’ when one will do the job beautifully. 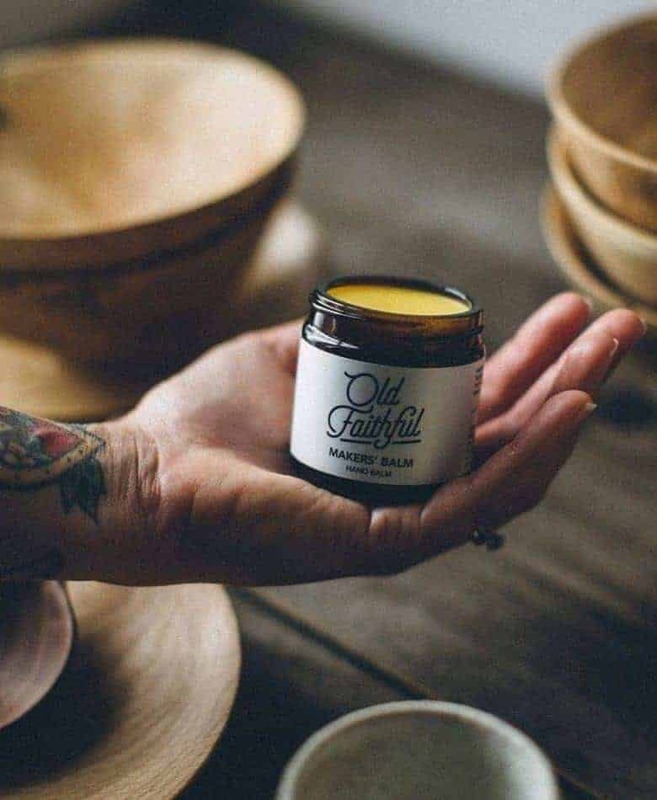 And, as someone who spends quite a lot of time at craft workshops, this Maker’s Balm is an essential to care for over-worked creative hands. Combining moisturising and protective benefits of shea, mango and cocoa butters with healing carrot and macadamia oils, vetiver and patchouli, there’s also anti-septic beeswax for good measure. 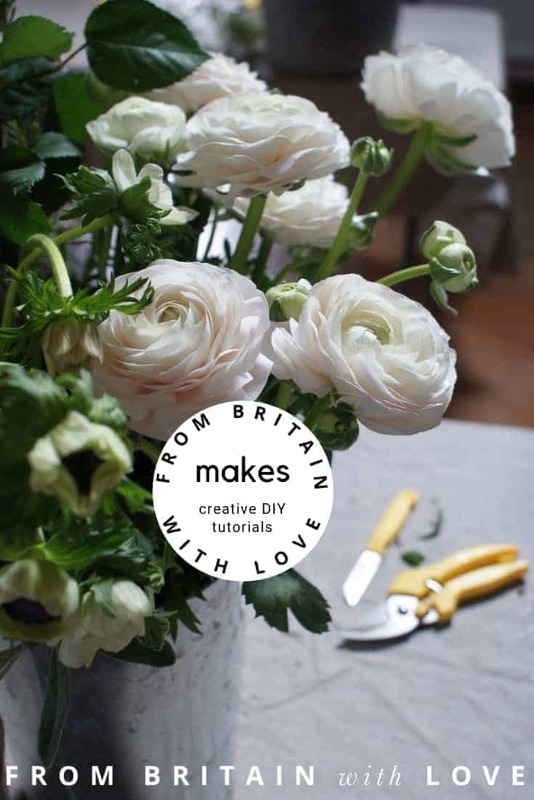 TLC in a pot and an essential for your own beauty kit if you’re a maker. 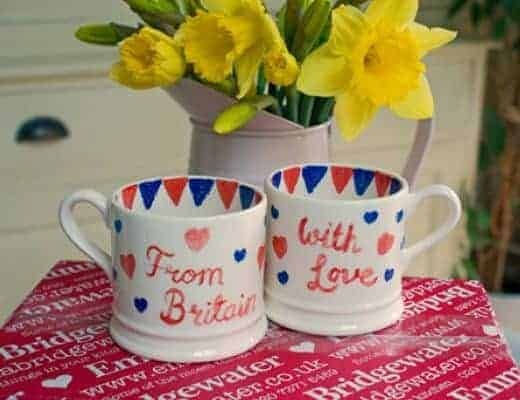 It’s also the perfect gift for anyone of a crafty persuasion. 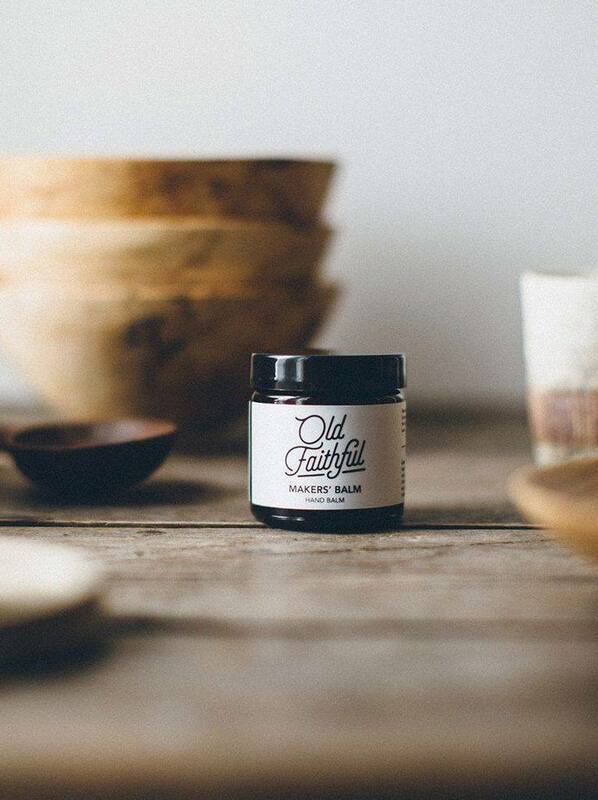 Old Faithful is listed in our Directory here >> Get all the info you need treat yourself. 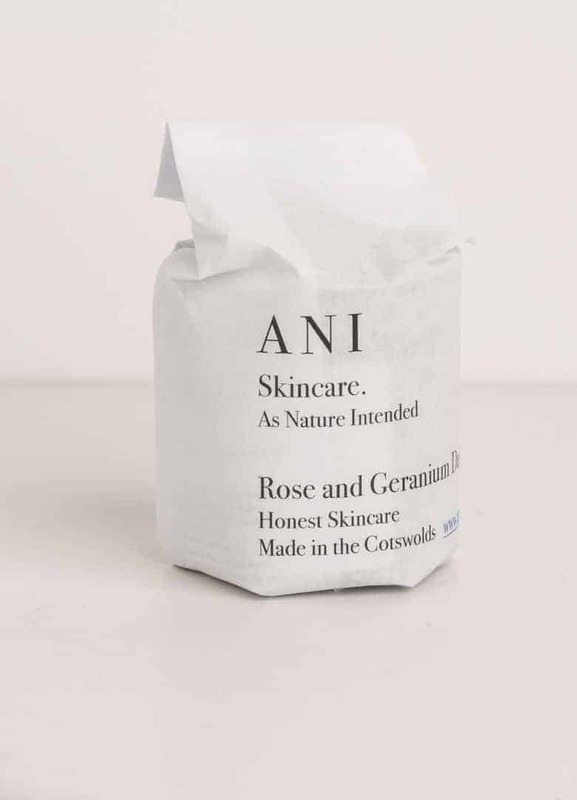 ANI Skincare is a range of natural skincare handmade in the Cotswolds using the purest ingredients and powerful natural essential oils. There’s no lanolin, beeswax, synthetic perfumes or animal extracts of any kind. This range is the antidote to the glitz and excess of high end skincare. This is about simple, pure and effective skincare that actually works. And is mindful of the world around us. 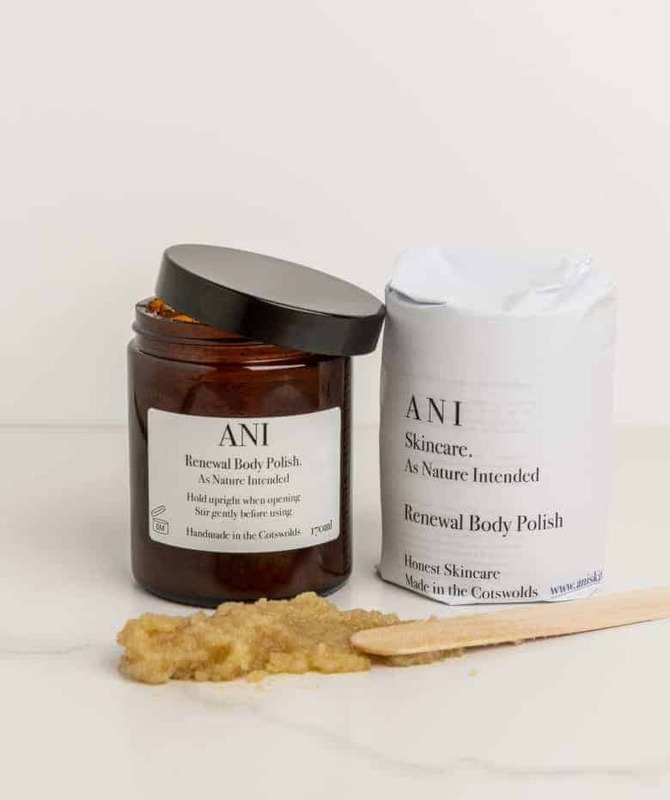 This Renewal Body Polish is a gentle exfoliating treatment combining brown sugar, olive and avocado oil as well as fragrant rose absolute and nourishing shea butter to leave your skin silky soft and radiant. This Rose and Geranium Daily Moisturiser is a pure, enriching face cream packed full of the best quality natural butters, oils and essential oils. Essential oils rose absolute rejuvenates while lavender heals and calms and geranium uplifts. This cream is like a superfood for your face: hydrating, regenerating and restoring for smoother, softer, younger looking skin. Smells like heaven too! ANI Skincare is listed in our Directory here >>. Get all the info you need treat yourself. 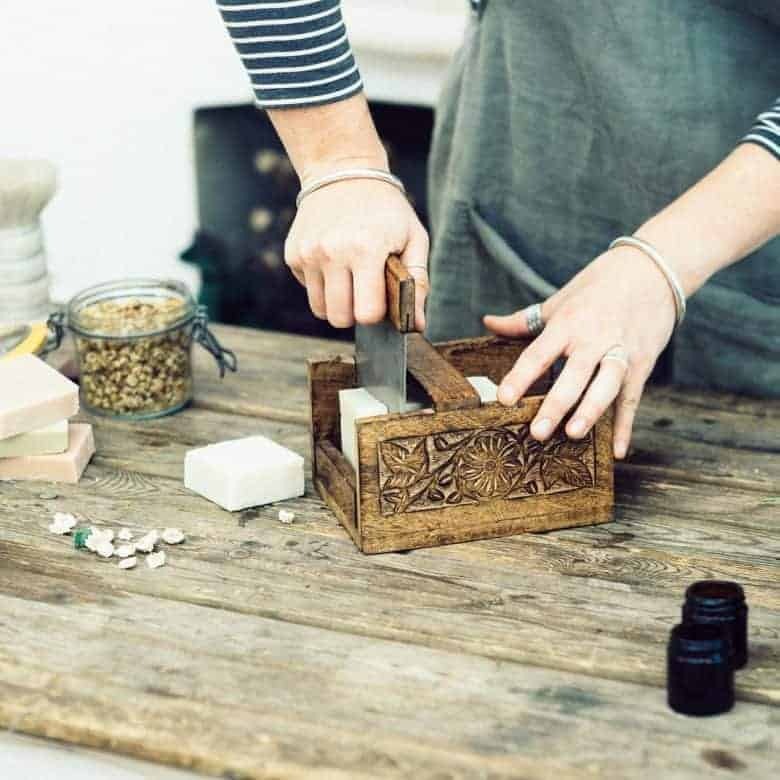 Premium skincare by hand in small batches on the Sussex coast, run by owner/founder Wendi Olofson. 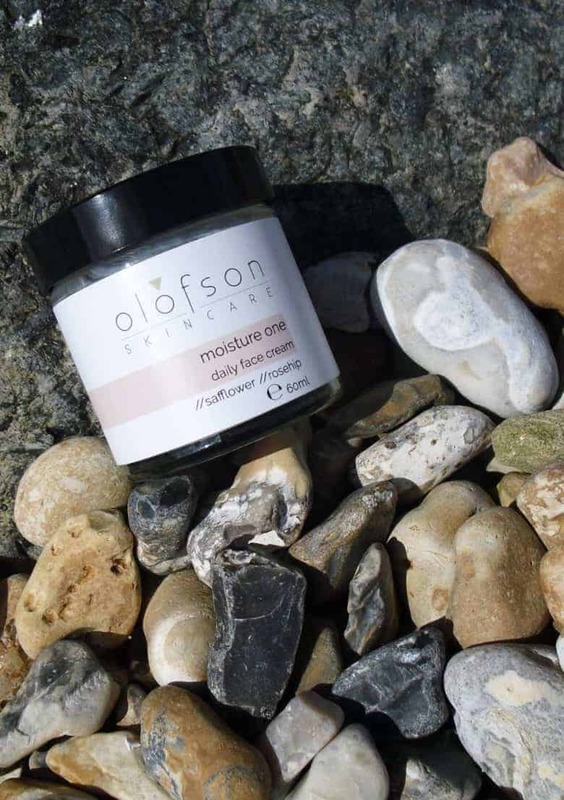 Moisture One face cream is a soothing, creamy moisturiser for normal/combination skin. This is the perfect daily face cream for anyone who prefers something light and refreshing. I love the way Rose Geranium essential oil makes me feel, so this soothing and creamy moisturiser is right up my street. As well as the uplifting and balancing benefits of rose geranium, this moisturiser also contains rosehip oil to repair damaged skin and safflower oil to protect and improve elasticity. The Essential Moisture Discovery Set is a great idea for travelling, or to try out the range. It contains everything you need to keep your skin protected and hydrated. 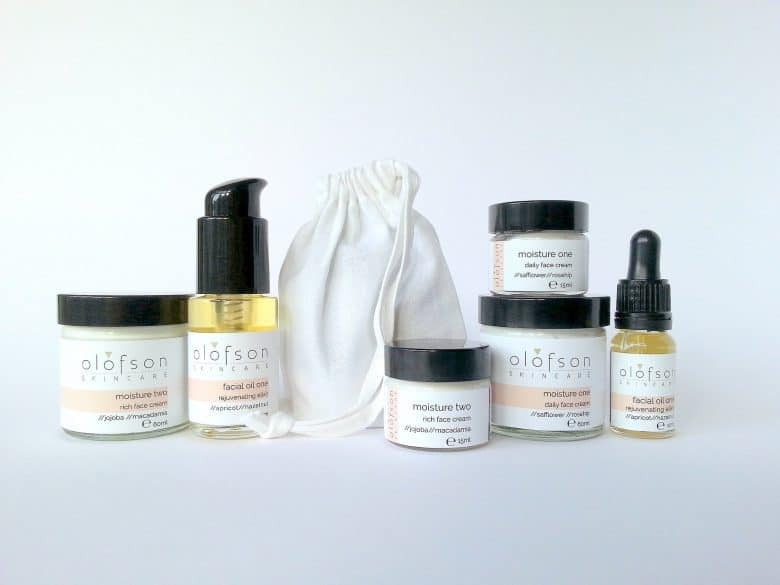 Olofson Skincare is listed in our Directory here >>. Get all the info you need treat yourself. 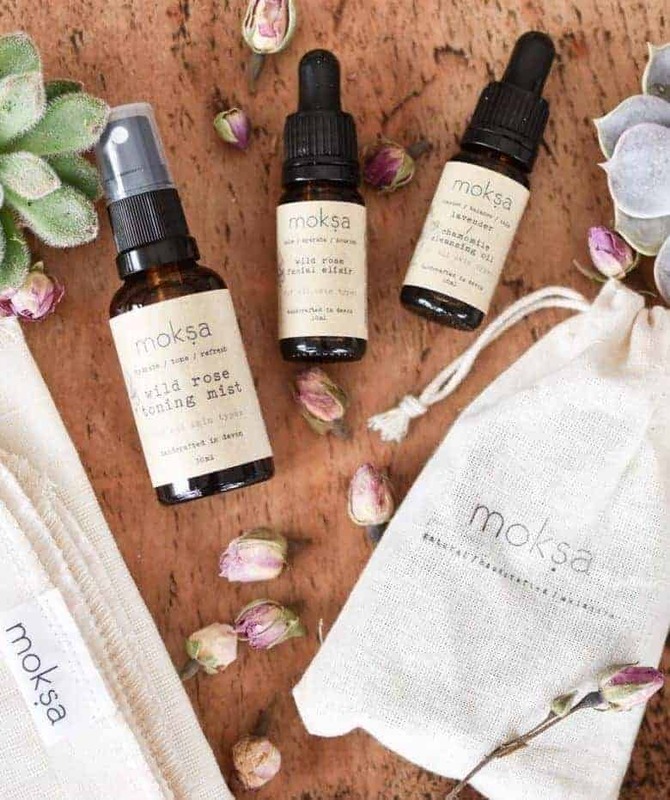 I loved that Moksa skincare is based on the Sanskrit word meaning liberation, bliss and inner peace. 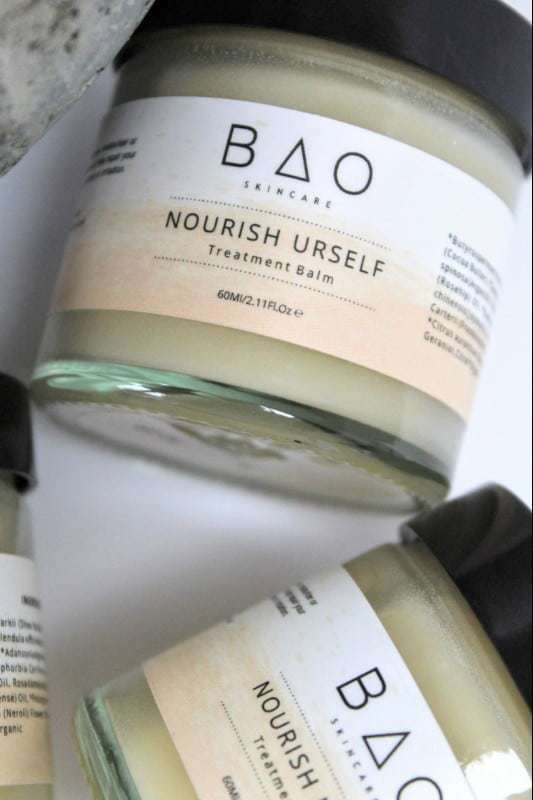 The perfect name for an ethical skincare brand hand made in Devon from 100% natural ingredients that are nutrient dense and ethically sourced. 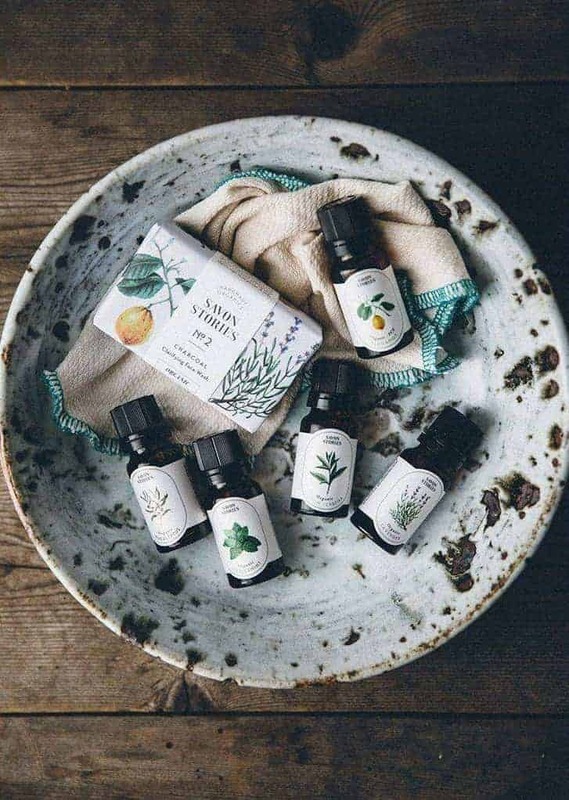 My favourite from the range is this Ritual Kit which includes a heavenly wild rose toning mist, wild rose facial elixir and lavender and chamomile cleansing oil. 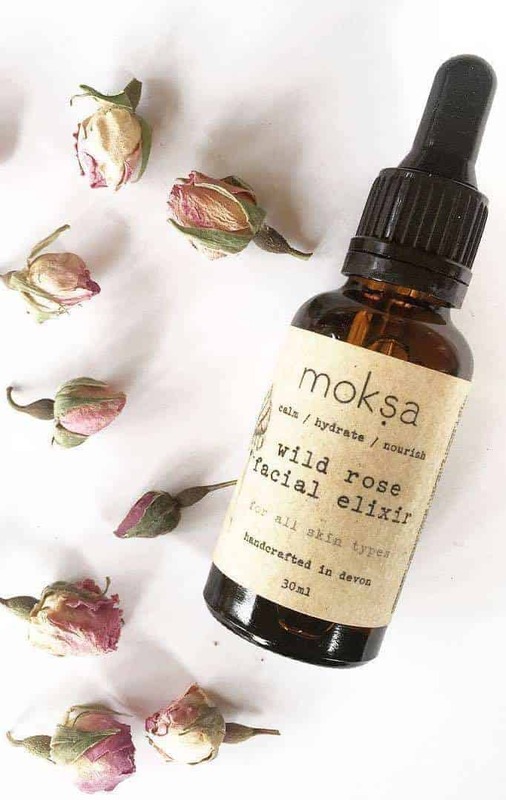 The Moksa Facial Ritual is all about balancing and calming your skin, using breathing, massage and steam along with the three stages of cleansing, toning/hydrating and Moisturising/Nourishing to leave your skin silky soft and naturally healthy. Is there anything quite like the heady, restorative effect of roses? 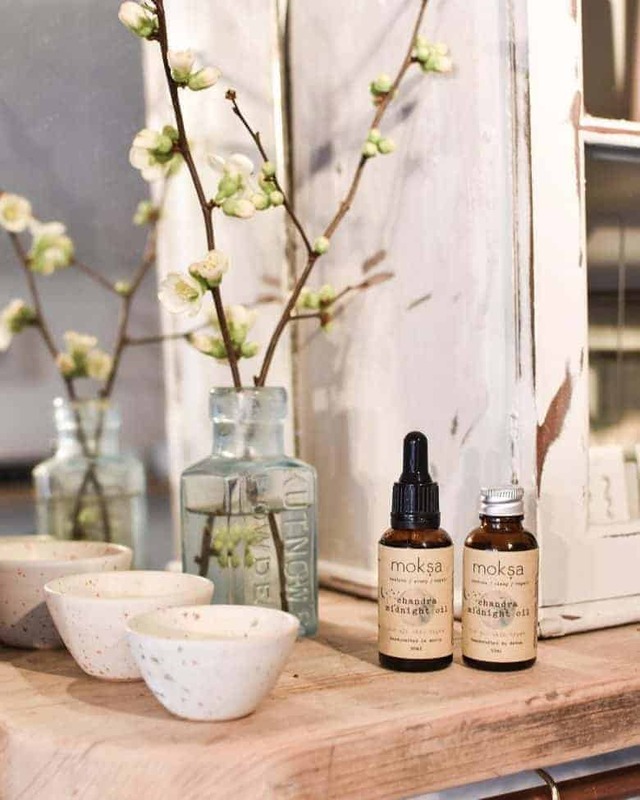 Read more about the Moksa Facial Ritual here. 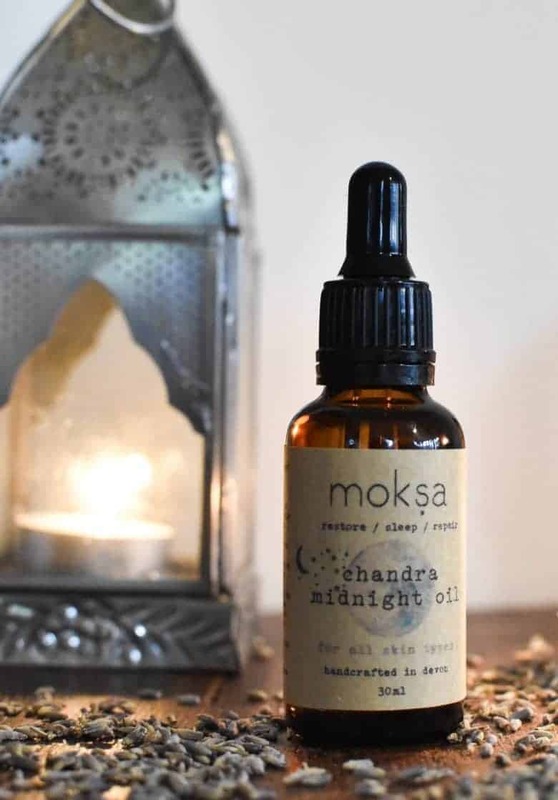 As someone who counts a really good night’s sleep as one of life’s simple joys, this Midnight Sleep restorative sleep oil is perfect. Ingredients include lavender oil and jasmine flowers to soothe and aid rest, calendula and frankincense to heal and jojoba, evening primrose, and palmarosa to nourish. Packed with deeply nourishing and restorative oils, this magical facial oil helps to repair and protect your skin, whilst lulling you gently into a sweet slumber. It really allows the active ingredients to get to work while you get a restful night’s sleep, so you’ll wake up feeling refreshed, glowing and ready to face the day. Sold! Moksa is listed in our Directory here >>. Get all the info you need treat yourself. 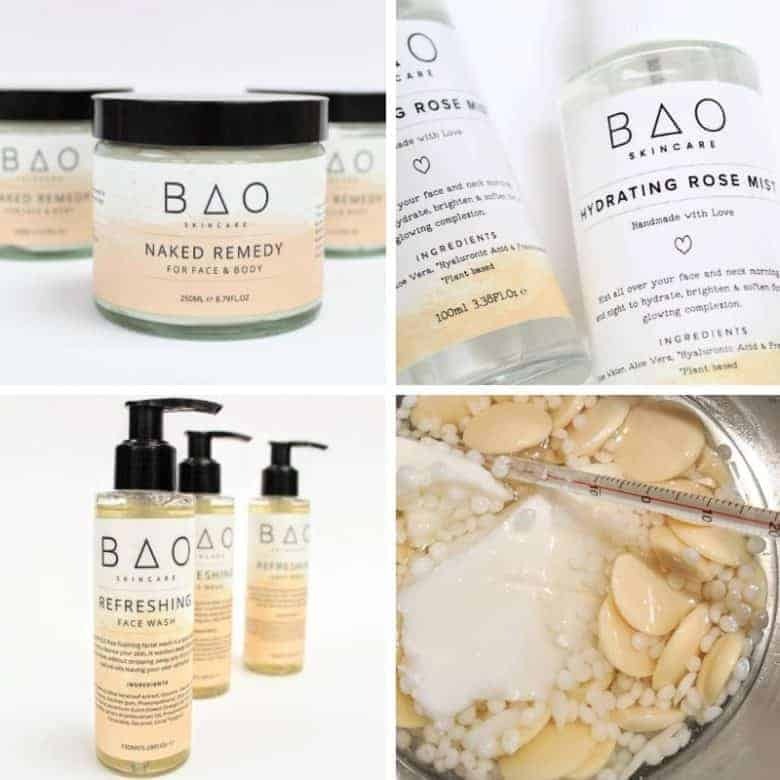 BAO skincare is another great natural beauty brand that you need to know about. This one-stop Nourish Urself treatment beauty balm is a great choice. Featured by Brides magazine as a great pre-wedding skin booster, I love how multipurpose and hard-working this little pot is. Use as a night balm, cleanser, moisturiser and treatment balm for acne, eczema, age spots, scars and dry, irritated skin. Key ingredients include calendula oil to soothe, argan oil to repair, neroli flower oil to uplift your senses and add a beautiful natural, floral fragrance. This Radiance face scrub is another must for gently and naturally polishing the skin. 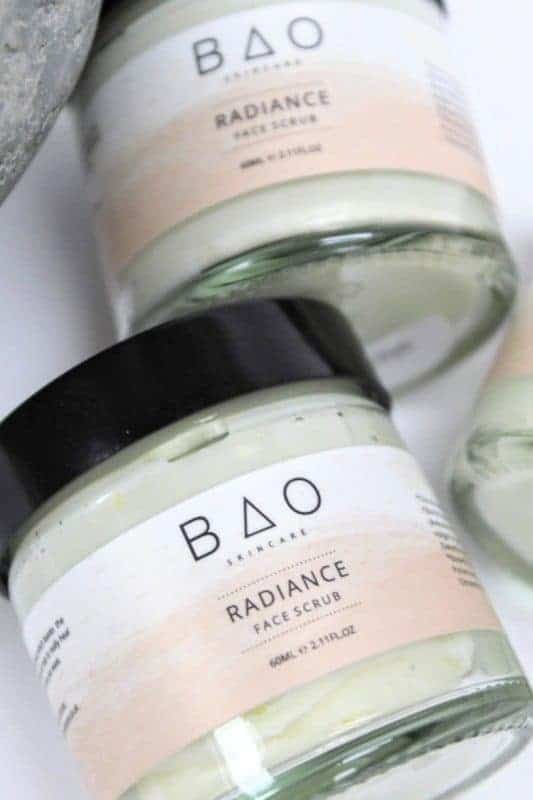 Super creamy and not too harsh, this contains bamboo leaves as well as nourishing shea butter, avocado and cottonseed oils to soften and repair. Organic orange blossom water calms and essential oils add natural blissful fragrance and extra healing and soothing properties. Recommended for dehydrated, oily and acne prone skins as well as sensitive, eczema-prone and hormonal/pregant skins. That’s most of us, then! BAO is listed in our Directory here >>. Get all the info you need treat yourself. 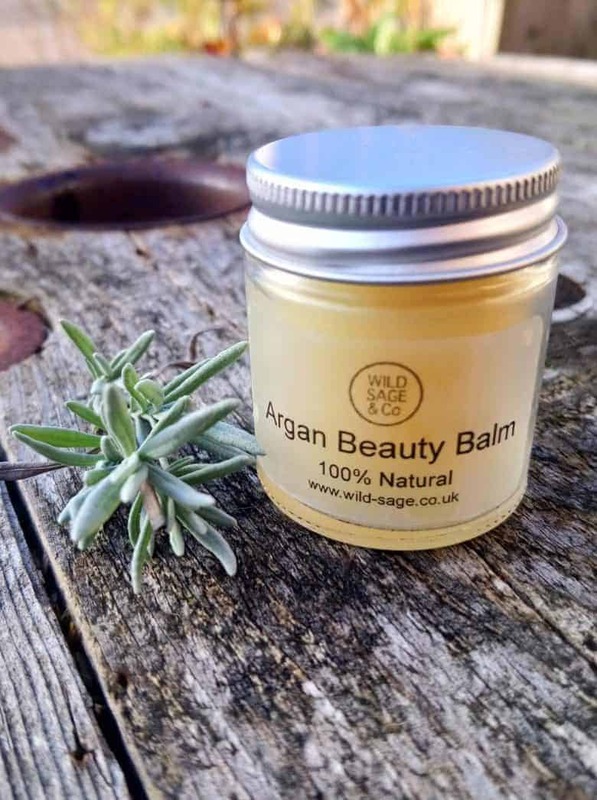 The lovely Naomi of These Two Hands (listed in our directory here) very kindly sent me a pot of this wonderful Argan Beauty Balm as a thank you gift recently. I can’t tell you just how divine it is. The natural fragrance is blissful and the balm itself glides onto your skin and makes it feel comforted and cared for. This is another hard-working multi-purpose product, which appeals to my zero waste sensibilities. 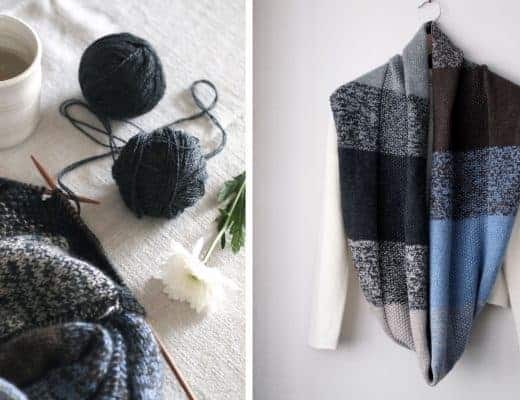 You can buy from Naomi’s online shop here or from Wild Sage & Co directly here. 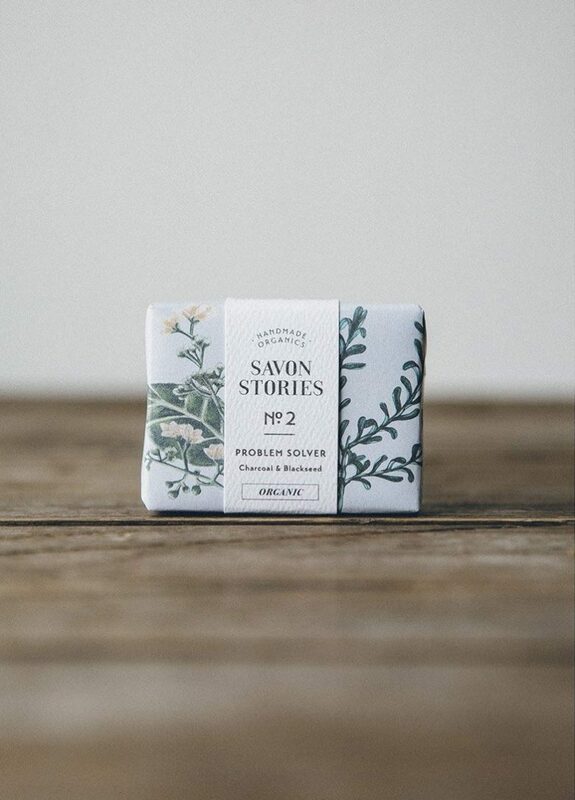 I also love Wild Sage & Co’s handmade natural soaps. Using a fragrant bar of traditional soap is so much nicer than plastic bottles of hand wash or shower gel. I haven’t allowed a plastic bottle anywhere near our bathroom for months now. It’s easier than I thought and I do get a lot of pleasure from looking at my vintage glass lidded jar filled with soaps. Many moons ago I spent a year or so saving up to go travelling by working as Manageress at the Liverpool Culpeper the Herbalists. It was here that I learned about the magical power of herbs and aromatherapy. I even got to meet essential oil king Robert Tisserand himself. 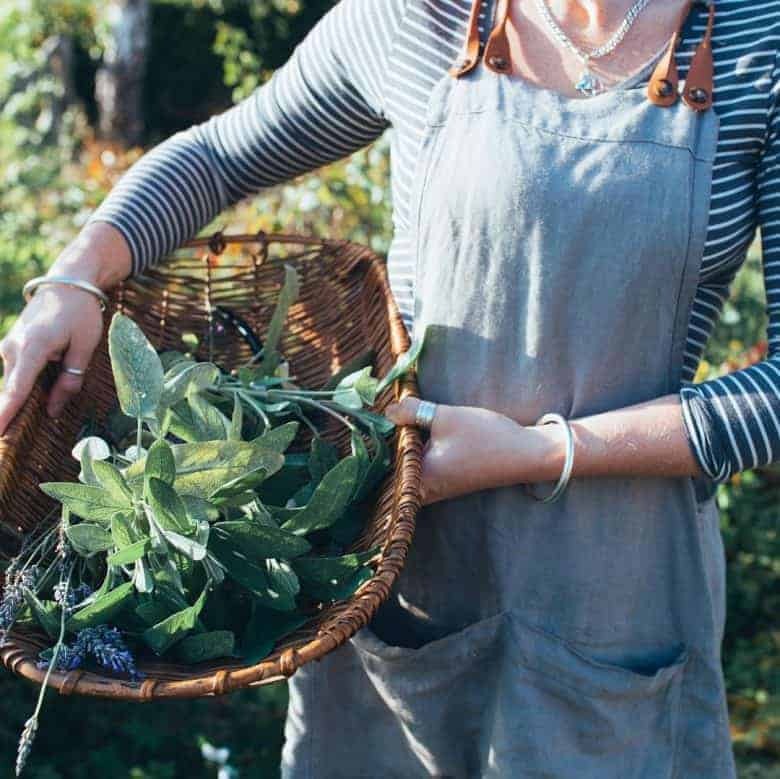 So, I love the herbalist values and expertise underpinning Wild Sage & Co. If it’s pure, simple soap you’re after, you can’t go wrong with this Naked soap from Foundland. 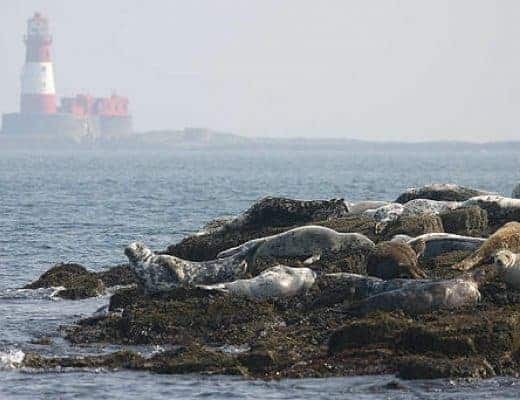 Foundland is listed in our Directory here >>. Get all the info you need treat yourself. 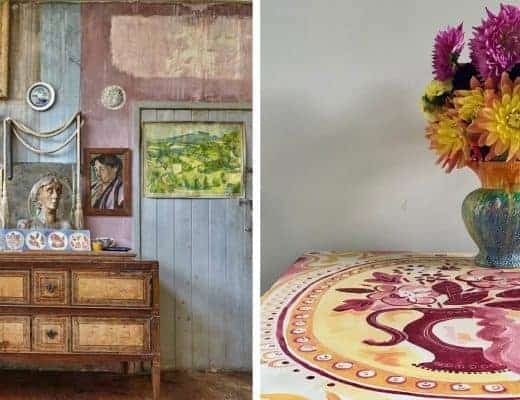 When looking for gift ideas, I always check out The Future Kept online shop because there is always something new and exciting I haven’t seen before. 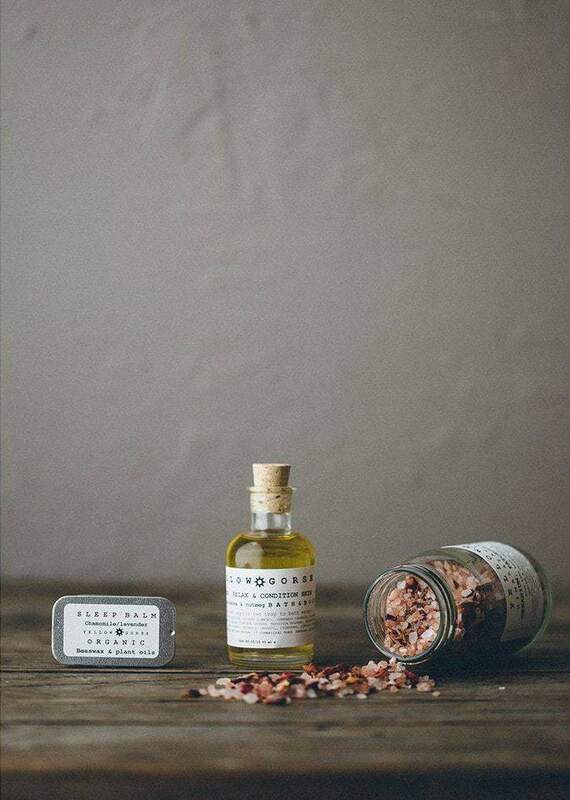 Find handmade and ethical goods, including skincare. I’ve picked out a few of my current favourites. My youngest son bought me some Savon Stories goodies for Christmas from The Future Kept, including the most wonderful Lotion Melt Moisturiser bar. 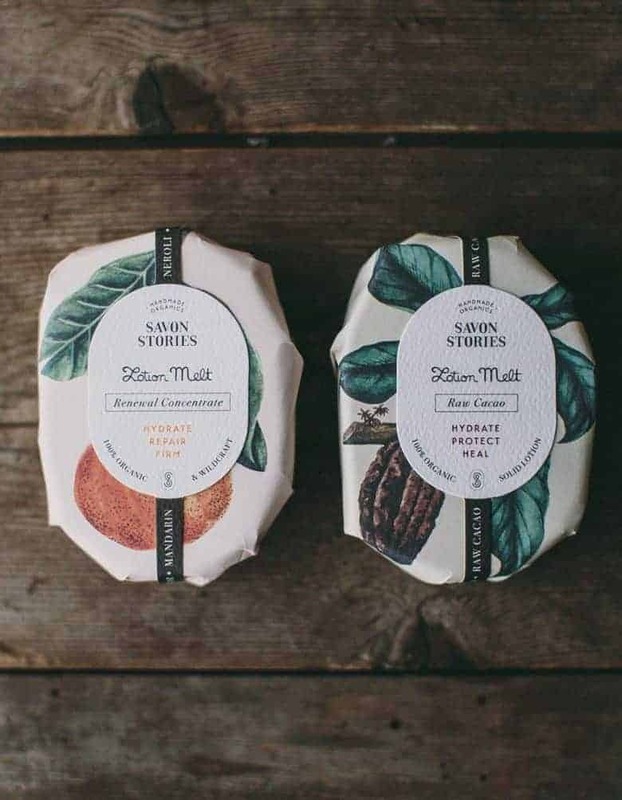 The bar melts with the warmth of your skin to give amazizng moisturisation and a delicious scent from the organic essential oils of mandarin, neroli and Himalayan lavender. It’s still going strong and is every bit as naturally fragrant, soothing and nourishing on my skin as it was on day one. This charcoal organic facial soap is wonderful on congested teenage skin. And I wouldn’t be without a good selection of quality, pure essential oils. 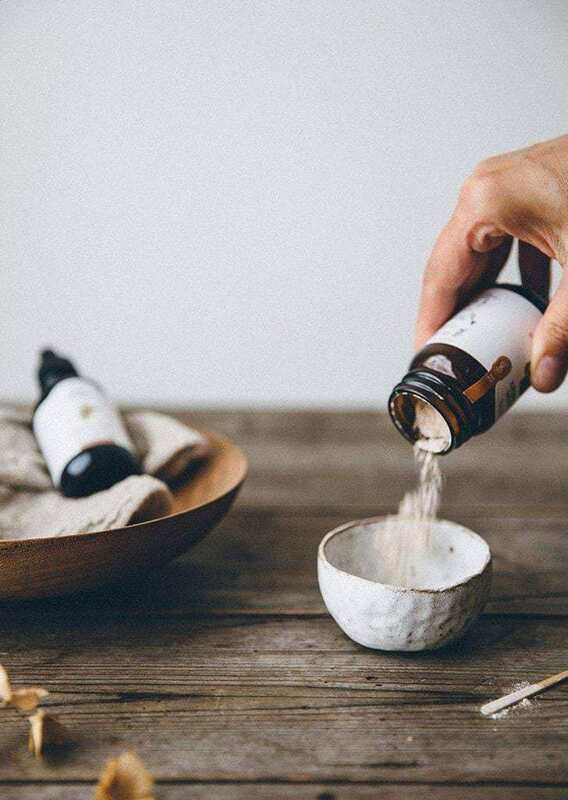 Try adding a few drops of lavender and orange or geranium oil added to basic Himalyan bath salts. I mix them together and keep beside the bath in a vintage glass lidded jar. 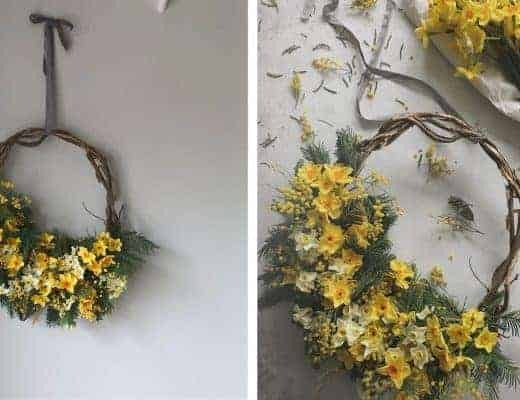 Looks, feels and smells amazing but at a fraction of the cost. This Argan Face Scrub is made entirely from four raw grains and three fragrant essential oils to gently exfoliate, deeply cleanse pores and reveal a smoother surface. The addition of rhassoul clay helps absorb and detoxify. Arrowroot balances oil levels, oatmeal seals in moisture and a blend of essential oils: verbena, neroli, and clary sage tone, firm and refresh. Rich in vitamin E and carotenes, the argan oil content of the ground kerns offers nourishes and replenishes your skin. I also love Yellow Gorse skincare, bath salts and bath oils. I was lucky enough to receive this Destress and Balance Gift Set at Christmas. Utter bliss before bedtime. When I’d finished this lovely jar of fragrant bath salts, I refilled the jar with my own homemade salts as described above. The Future kept is listed in our Directory here >>. Get all the info you need treat yourself. I have loved MOA green balm and cleansing ritual for years now. 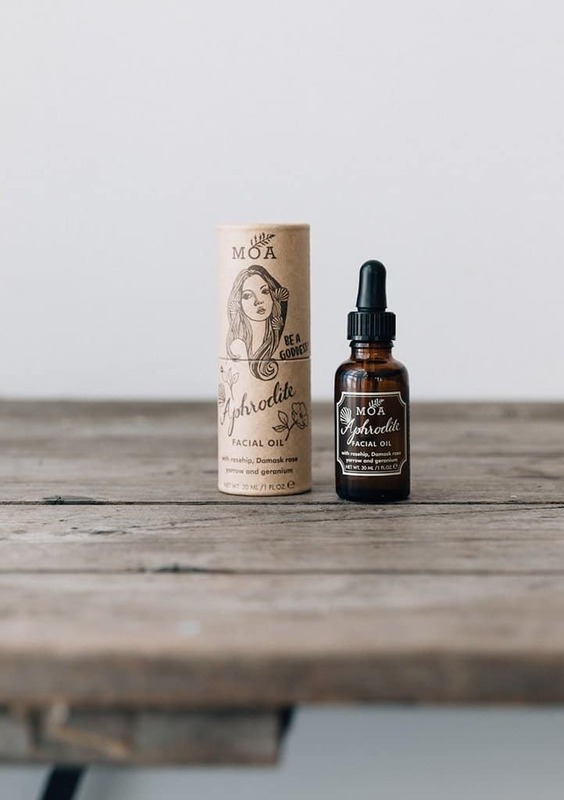 MOA have been with us since the beginning and it has been wonderful to see Charlie and her ethical beauty company go from strength to strength. 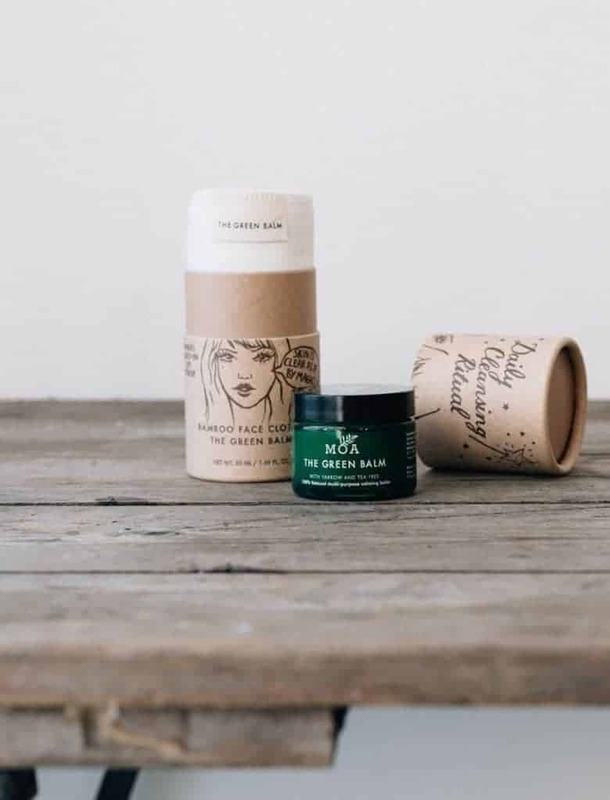 Inside each Daily Cleansing Ritual is a super soft bamboo face cloth (bamboo fibre is naturally antibacterial and one of the most eco-friendly materials on the planet) and a pot of The Green Balm. This really is a magical multi-purpose product. 100% natural and organic, this balm is crammed with yarrow – the hero herb used for centuries to heal and repair skin problems. It suits all skin types, including dry, problematic and sensitive skin. Use as a balancing deep cleanser, healing skin balm and skin treatment. Next on my list to try is their Aphrodite Facial Oil which is a rich and heady blend of damask rose and rose geranium essential oils, rosehip oil, vitamins and marshmallow to hydrate, calm, ward off premature ageing and promote radiance. Sold. MOA is listed in our Directory here >>. Get all the info you need treat yourself. Idan is the Yoruba word for magic, which is the only word to describe this sublime Idan Moisturising Oil. Made with natural, cold pressed coconut oil into which a Tuberose flower has been immersed, ensuring the wonderful scent of this night blooming flower is absorbed naturally into the oil by a traditional African process of enfleurage. This fragrant multi-purpose oil can be used as facial oil, hair conditioner, skin oil and even perfume. Ever since making a whipped aromatherapy body butter with Liha at Wilderness Festival, I have been totally hooked on Gold Shea Butter. Shea Butter is known for its high content of fatty acids and its naturally occurring content of Vitamins A and E and makes an excellent natural alternative to petroleum jelly. A small amount goes a long way. You simply let it melt between your hands and apply everywhere – body, face, feed, hands. Liha sells only the top quality, 100% ethically sourced Ghanian and Nigerian shea butter. There’s a helpful video here to help you choose between the two types. 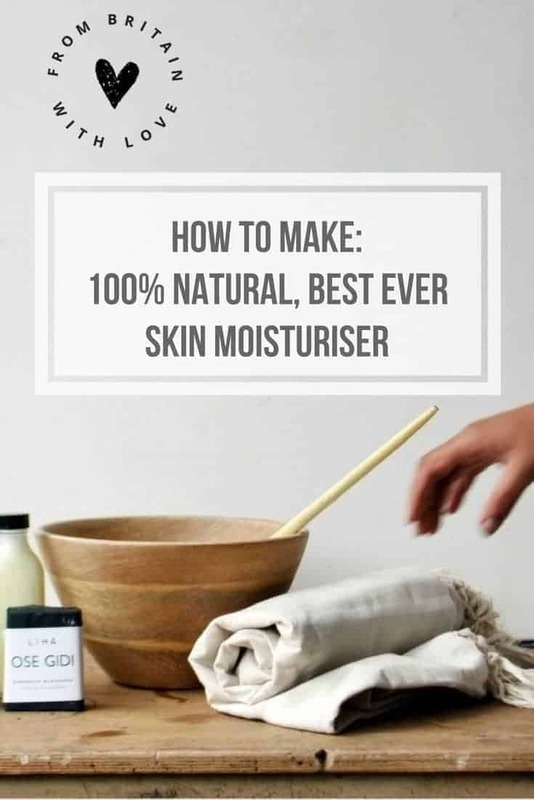 You can read my post How to make Shea Whipped Body Lotion with Liha London and find out how to create your own wonderful jar of aromatherapy body butter. 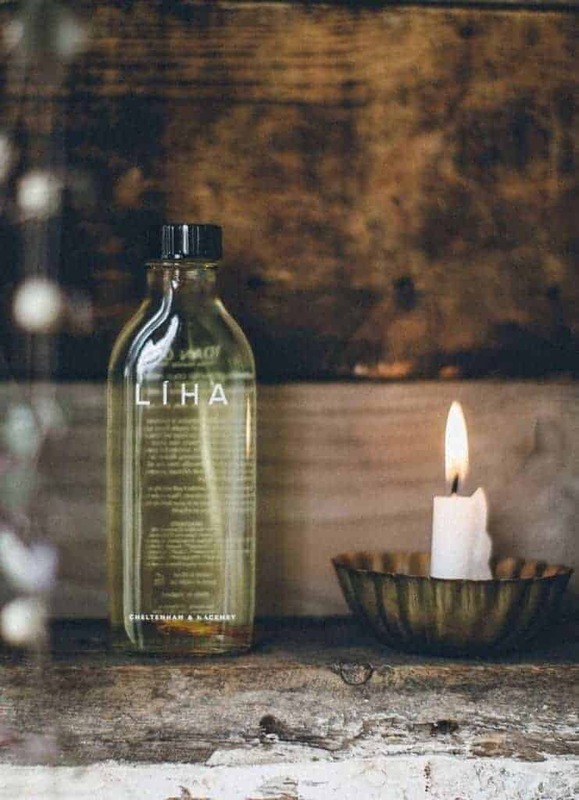 Liha is listed in our Directory here >>. Get all the info you need treat yourself.